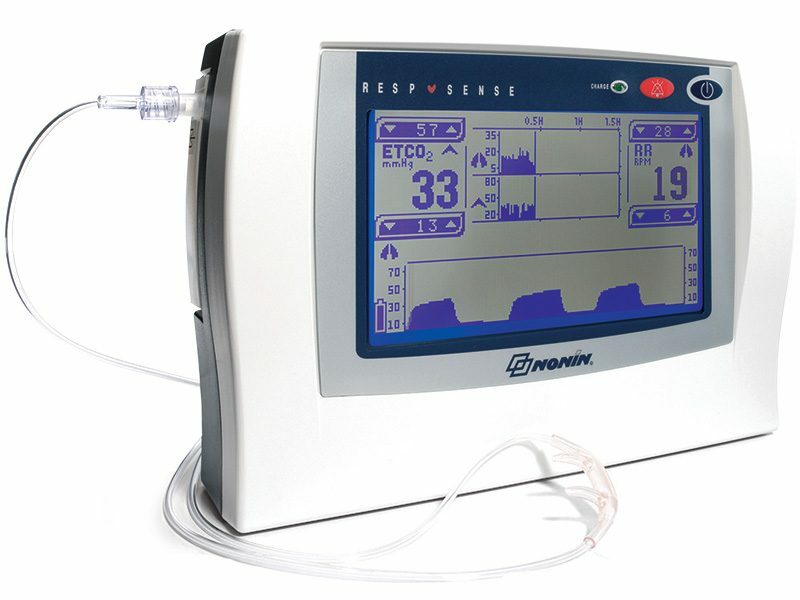 RespSense capnography monitor with widescreen touch-panel display features MedAir sidestream EtCO2 technology for both intubated and non-intubated patients in a wide range of clinical settings. Download Document of Nonin Respsense Widescreen Capnograph. Monitoring the carbon dioxide concentrations (CO2) in the respiratory gases of mechanically ventilated patients is important to ensure proper ventilation. Patients who are not monitored have an increased risk of developing life-threatening conditions. Capnography monitors from Nonin Medical provide a clear and accurate real-time feedback on how patients are breathing or ventilated. Ideal for spot check and continuous EtCO2monitoring.